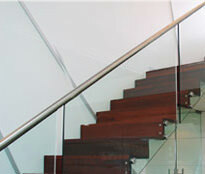 Contemporary staircases can take many forms. They are generally designed to enhance a space with detail and texture to allow light through while having a cutting edge flare to make them more a piece of furniture than just a means of access to another level. Glass, steel and stainless steel feature heavily in today’s contemporary stairs, but the standard versions are making way for new takes on the old themes with tricked up details making many stair designs today true works of art. Are your customers demanding a compact climbing solution that leaves space for other furniture? Are they also picky about the style of the staircase? Do you want your work to shine for your clients? Eric Jones Stair Building can provide you with supreme quality staircases that give your customers ample space to store in their junk. It is a piece of art that has leaped into reality. For those who like to live in the moment and move on with the changing lifestyles, the suitable choice for them would be a modern staircase. Trendy places or houses are built on basis of opening up space rather than closing in with extra fixtures. 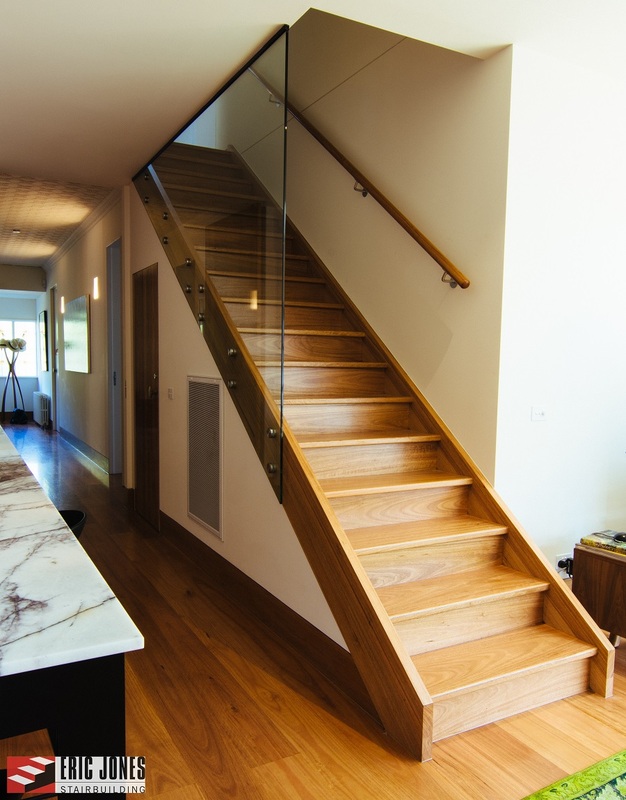 This is why a modern staircase is built with extensive use of materials like stainless steel and glass, which appear light and delicate but are strong and durable. Modern staircases are normally square in nature and give its owner the much-needed space to store underneath if they opt for a spandrel staircase. 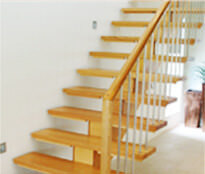 Modern open staircases, where risers are absent, are more suitable to open spaces like hall rooms. 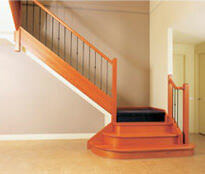 With modern staircases you can find a smile on your customer’s face because no empty space is enough. 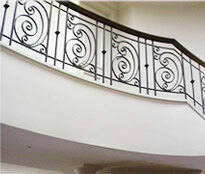 Contemporary staircase is suitable for any kind of home whether it is a brand new or an older one. Contemporary is a mix of modern and classic, hence a better choice for most venues, either residential or commercial. These staircases extends the possibility of material combinations from just steel and glass to wood stairs, timber stairs and balustrades, wrought iron balustrades etc. These combinations provide for a naive artistic appeal. 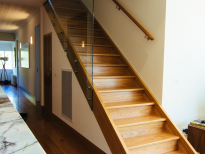 Apart from the choice of tread, balustrade and handrail, there are several other factors related to design and appearance of the staircase, which you might want tour customers to go through. Operating under a budget and the need to satisfy your employer makes it difficult for builders, developers, architects and contractors to make a choice between a contemporary or modern staircase. However, there is no need to worry because Eric Jones Stair Building are a reputed company in Australia who would guide you at every step. We believe in empowering the building nation to change ideas into structures through our innovative yet affordable solutions. All our deliveries are timed to your demands. Give us a call for more info.